I love tea. I’m a tea fanatic. I drink it at least daily (sometimes twice a day if I feel like it) and every time I do, I go hunting in the pantry for some kind of cookie to dip in it. 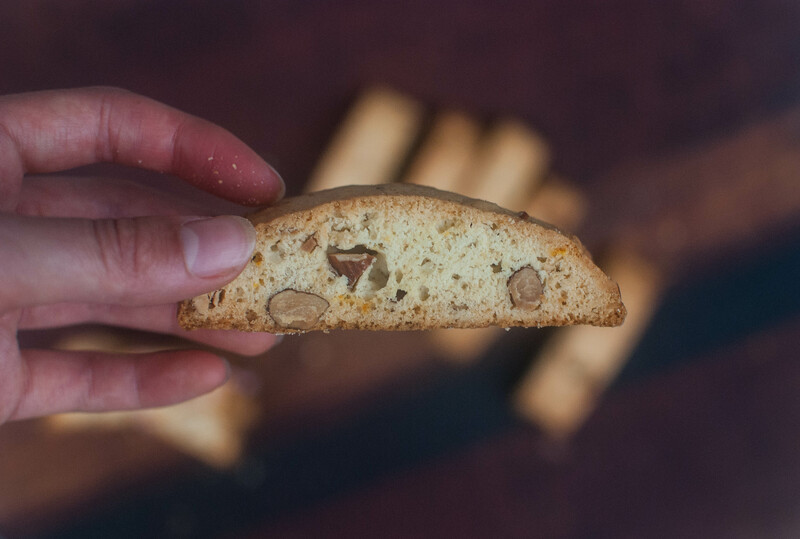 Biscotti fit the bill perfectly: they’re super crunchy and not overly sweet, meaning you can have them for breakfast without feeling too guilty. The problem, though, is that most store-bought versions are so unbelievably dry that it’s kind of impossible to enjoy them on their own as well, without a hot drink for dunking. So a few months back I tried a recipe from Sally’s Baking Addiction and the results were heavenly–crisp but not dry, with lots of brown sugar flavor. But to me, they weren’t the classic biscotti I was looking for; they lacked that quintessential texture. A few weeks ago I decided to try my luck again, this time using a well-rated recipe from Epicurious. It called for a touch of brandy, which seemed a bit odd to me, but I subbed in some Triple Sec orange liqueur (at the recommendation of my mother!) and ended up playing off that orange flavor by throwing in some fresh zest. 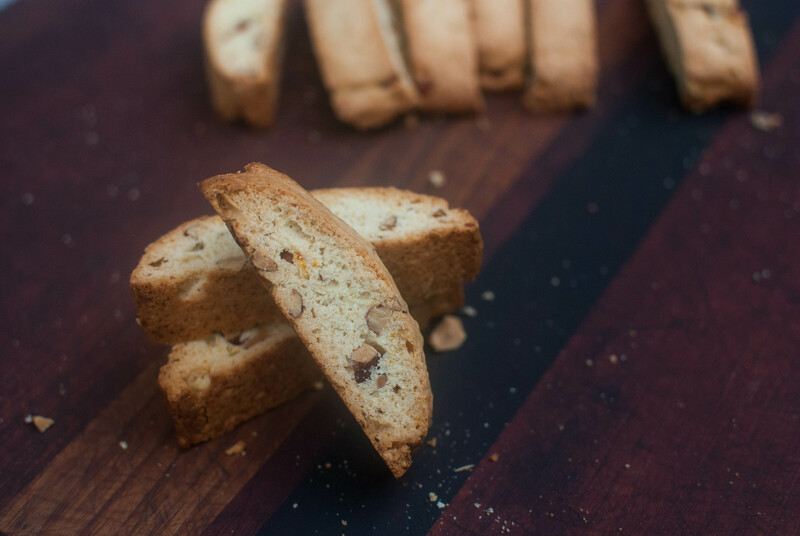 What I wound up with was the holy grail of biscotti: incredibly flavorful and crisp, but not so crunchy that you could break your teeth trying to eat one. They were gone before I knew it, and you know what? I’m really wishing I could have one right about now. 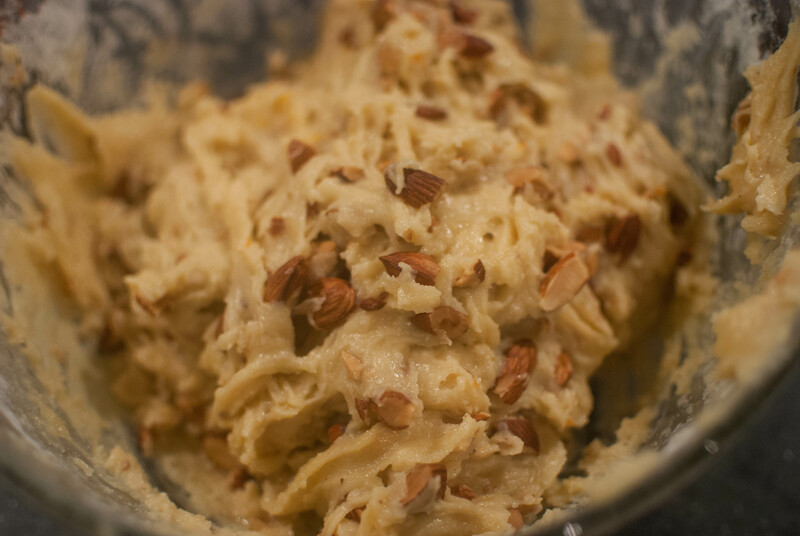 To make the dough, start by melting some unsalted butter and stirring it together with some sugar, orange liqueur (or brandy, as the recipe originally suggests), and some almond and vanilla extract. Oh, and throw some orange zest in there too! (Not pictured here because I’m a dodo and forgot to add it until the last minute). Add in a whole lotta roasted, roughly chopped almonds, along with 3 eggs. Next, just stir in some flour, baking powder and salt! Chill the dough for 30 minutes, then divide it in half. Place the halves next to each other on a parchment or Silpat-lined baking sheet and shape them into 16×2 inch logs. Bake at 350 F for around 30 minutes, or until they’re pale golden. Don’t worry, they’ll get darker soon! Place the loaves on a wire rack and let them cool for 15 minutes. 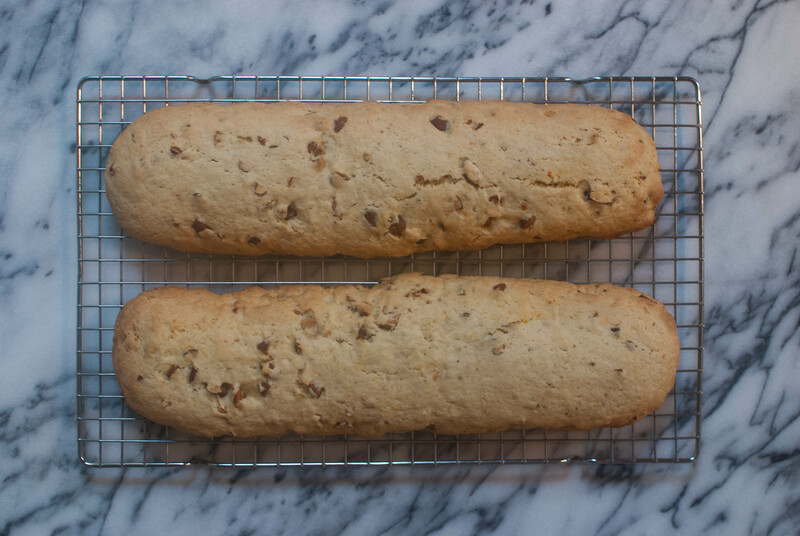 Use a serrated knife to cut each log into 3/4-inch strips and place the biscotti back on the baking sheet (you may need another). Most recipes say to place them cut side down and flip them halfway through the second baking time, but I found that placing them upright meant even baking and no flipping. A win win! Bake these for another 20 to 25 minutes, until they’re nice and golden brown. They’ll harden even more as they cool. Yum! Just get me a cup of tea or coffee and I’ll be all set. Look at all of that almondy goodness. By the way, your house should be smelling amazing right about now. 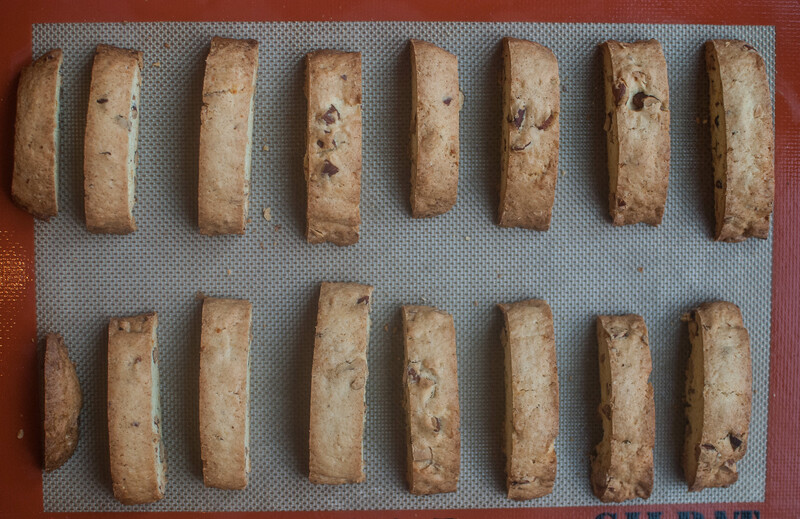 The great thing about biscotti is that they’re so versatile. There are so many different fun flavors combos you could try, like Kahlua and chocolate chip. Yum. 1. 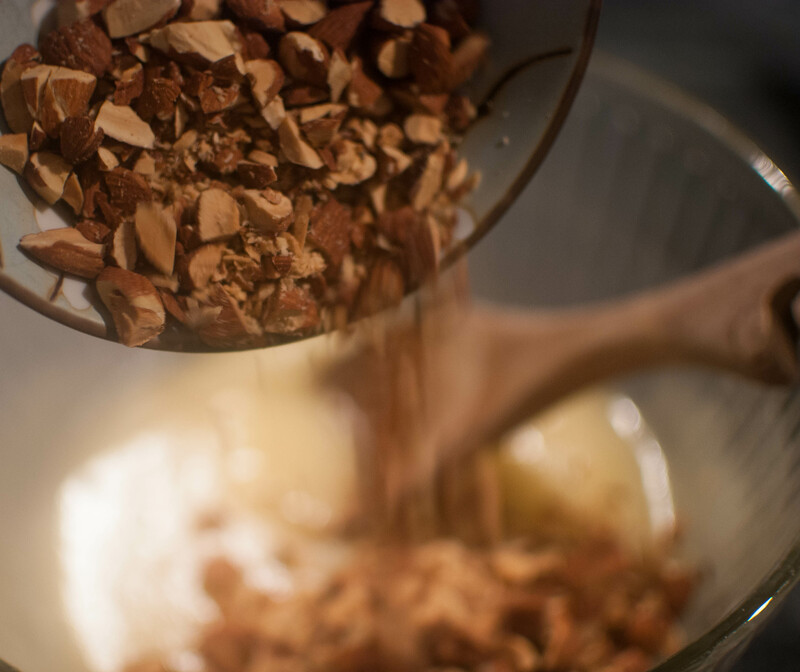 In a large bowl, stir together sugar, butter, Triple Sec, both extracts and orange zest, then add in the almonds and eggs. 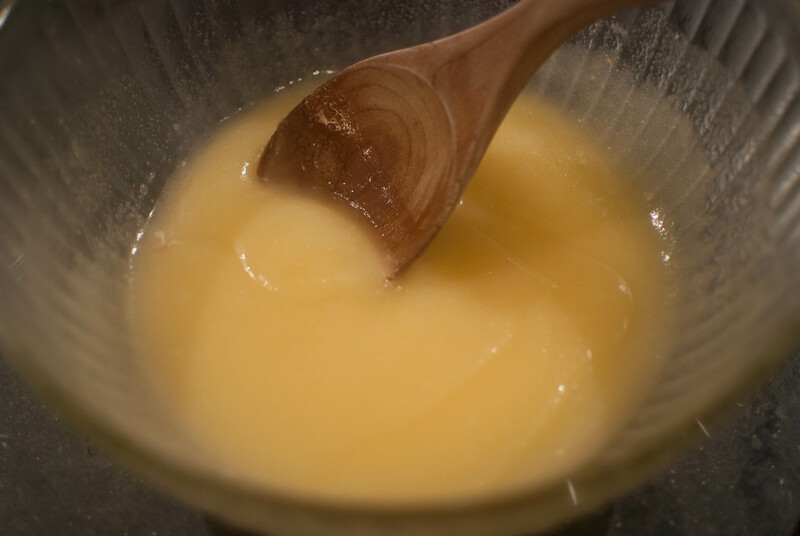 Stir in the flour, salt and baking powder. Cover the dough and chill for 30 minutes. 2. Preheat the oven to 350 F and line a baking sheet with parchment or Silpat. 3. 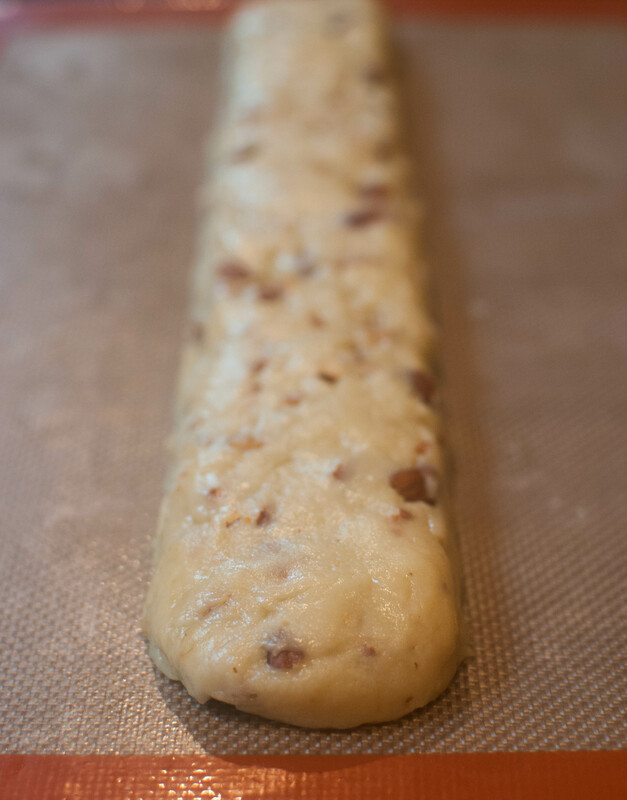 Divide the dough in half and place the halves next to each other on the sheet. Shape into two 2×16-inch logs and bake for 30 minutes, until they’re a light golden color. Cool on a wire rack for 15 minutes. 4. 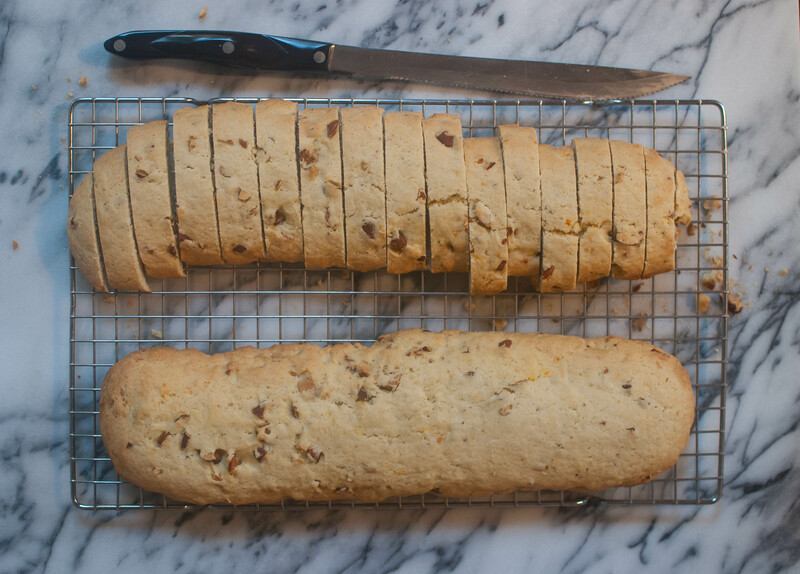 Use a serrated knife to cut each log into 3/4-inch strips and place the biscotti back on the baking sheet upright (not cut-side down). Bake for another 20 to 25 minutes, until they’re nice and golden brown. They’ll harden even more as they cool. Transfer to a wire rack to cool completely, then brew yourself a cup of tea or coffee and enjoy!